World No. 10 Phil Mickelson is the first big name to withdraw from the WGC-Accenture Matchplay Championship starting on February 20. 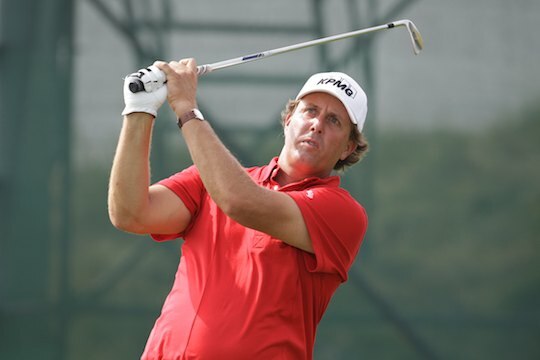 Mickelson, who set many records in winning for the 41st time on the PGA Tour at the recent Waste Management Phoenix Open in Scottsdale, Arizona, will instead take a family holiday while all of his children are in a break from school. The announcement will come as a disappointment to organisers but hardly a shock, as Mickelson has withdrawn from the event in three of the past four years. Mickelson has an average record in the event having reached the quarter finals in the knockout matchplay format just once in 11 appearances. His withdrawal means the player in 65th place in the Official World Golf Rankings at the completion of the Joburg Open and Pebble Beach National Pro-Am will be included in the 64-man field. Hunter Mahan will return to defend the title after his 2&1 victory over Rory McIlroy in last years’ final. All eyes will be on World No. 1 McIlroy who will return after a month fine-tuning his game and new equipment following a missed cut at his only start of the season in Abu Dhabi in January.